Need a maintenance or a brand new installation? Boyle Energy handles everything from air conditioners, to boilers, to water heaters. Boyle Energy delivers oil how you want it. We offer budget plans, price caps, and automatic deliveries to help you make your energy bills more predictable and reasonable. Boyle Energy doesn’t service just oil and gas. Have a propane system? We have you covered. Call for a free estimate or to answer any questions you might have. Our number can be found in the top left corner of the website or in the footer at the bottom of the page. Boyle Energy is a full service HVAC company that can maintain and repair your air conditioner, water heater, and heating equipment. Boyle Energy also offers Service Plans, which are plans that ensure if something happens to your systems, Boyle Energy will be there to fix it. Boyle Energy delivers oil right to your home when you need it. An oil plan with Boyle Energy allows you to choose how you receive your oil. You can choose to call us for your delivery, or have it delivered to you automatically when your tank gets low. Boyle Energy is proud to announce it’s new propane delivery! Propane is a clean-burning, high-energy alternative fuel that’s been used for decades, and serves as a great environmentally-friendly alternative to traditional gas and oil. If you have a propane system, Boyle Energy has you covered. 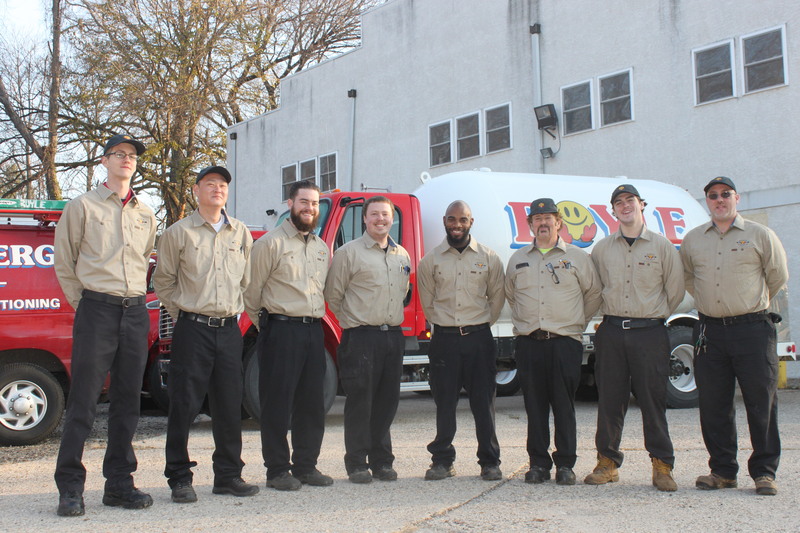 Serving Philadelphia and the surrounding suburbs Boyle Energy is a family business which prides itself on catering to the customer’s interest above all others. We stand tall enough to serve virtually all of your residential and commercial heating needs. We have been serving the area since 1937 with honesty and dependability, making your comfort our top priority. Boyle Energy has been serving Philadelphia and the surrounding areas since 1937. Boyle Energy is a family business which prides itself on catering to the customer’s interest above all others. Many people know how we do it: Great employees, a commitment to continuing education, and honest, hard work. But not many people know why we do it (or at least why I do). Here is my story. In the summer of 1993, I was heading into my sophomore year of high school. 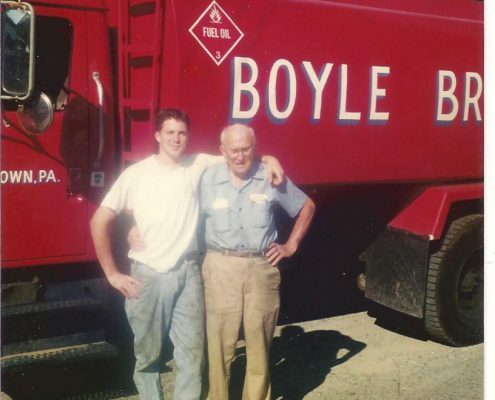 As I had since the sixth grade, I was working at Boyle Energy with my grandfather and father, just helping out around the shop, cleaning, and acting as a gofer for the technicians. I loved spending time in the family business, but I had no idea how special that business was, and how different it was from other heating and air conditioning companies. That summer truly opened my eyes, and one service call, in particular, has stayed with me for nearly 25 years and contributed to my joining the company full-time after college. I was so proud that my grandfather had done such a wonderful thing for a family that had fallen on hard times. What she said next, however, blew me away: “And I still have never met the man.” I wasn’t expecting to hear that. How amazing, I thought, that a person could have such a lasting and positive effect on someone he’d never even met. My grandfather was a man who did just that, and he built the kind of company I want to work for, filled it with people I want to work with, and showed me the kind of person I want to be. That’s why I work here.